Transformers 3 had already gone into pre-production. Michael Bay has been indeed convinced to deliver the movie on July 1, 2011. Shia LeBeouf and Megan Fox are of course reprising their roles as Sam and Mikaela respectively, but according to the rumor, Michael Bay would like to get rid of Megan Fox in this new Transformers sequel. As usual Michael Bay wants is teasing the fans claiming he's telling lies. But that Transformers 3 will show more of Bumblebee and that it will develop the robot characters generally sounds quite reliable to me! 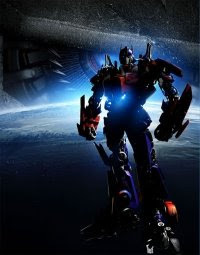 Ant that's fine with me as long as there is still as much action in Transformers 3 as there was in the previous movies.